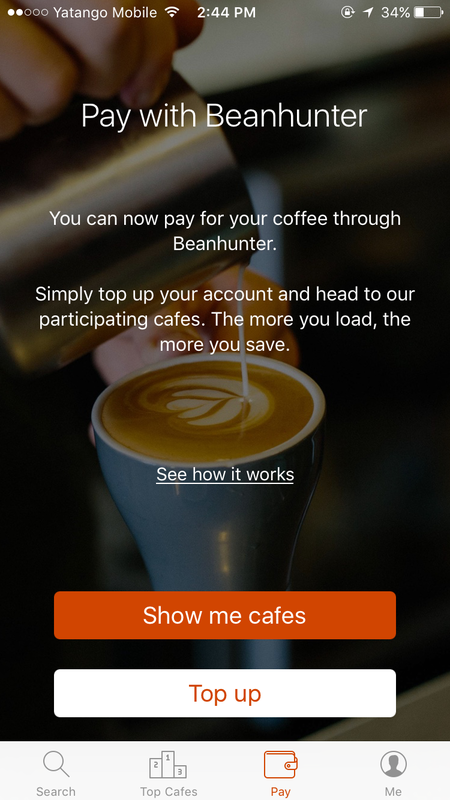 How do I know which cafes allow me to pay with Beanhunter? 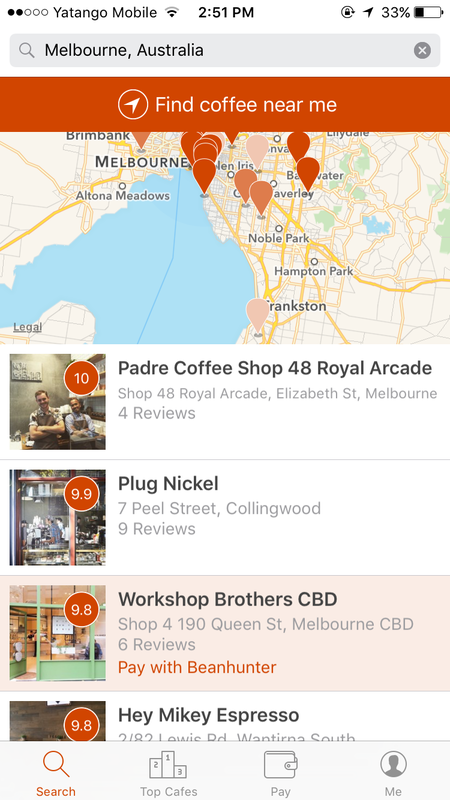 Cafes that accept Beanhunter will stand out in all search results, have a light orange background and show the text 'Pay with Beanhunter'. In our iOS app we have a dedicated 'Pay' tab which allows you to easily top up your account and view participating cafes.